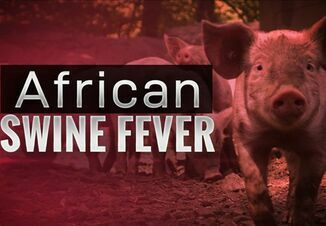 Coverage of China’s outbreak of African Swine Fever, and continuing foot and mouth threats abroad have producers, veterinarians and industry leaders on edge. The reason the U.S. has remained disease-free for this long has been an industry push for biosecurity, health and well-being for animals. 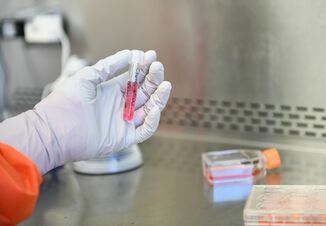 Iowa Pork Industry Center and the Iowa State University Extension swine specialists have developed a new workshop program to provide the latest research to prevent disease transmission. Producers attending will also gain a deeper understanding of critical steps necessary in biosecurity and health management for producers, employees, veterinarians and industry partners. These workshops are free to attend, but it’s strongly encouraged to preregister. The sessions will be led by the swine specialist team from ISU Extension in collaboration with Dr. Derald Holtkamp of Iowa State’s department of Veterinary Diagnostic and Production Animal Medicine. See the informational flyer. Thursday, Nov. 29, 2-4 p.m.
Wednesday, Dec. 5, 1-3:30 p.m.
Thursday, Dec. 6, 1-3:30 p.m.
Friday, Dec. 7, 9-11:30 a.m.
Friday, Dec. 7, 1-3:30 p.m.
Monday, Dec. 10, 9-11:30 a.m.
Tuesday, Dec. 11, 1- 3:30 p.m.
Tuesday, Dec. 11, 1-3:30 p.m.
Tuesday, Dec. 18, 1-3:30 p.m. 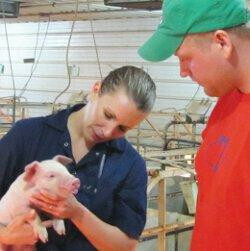 The programs are sponsored by ISU Extension and Outreach, IPIC and the Iowa Pork Producers Association.